The Elmhurst Public Library invites high school students and adults with library cards to participate in the Winter Reading Challenge. The program runs through January 31, 2019, although you need to complete a brief questionnaire by January 24, 2019 to participate. At Elmhurst Toyota, we know the holidays can be busy and stressful. Why not give yourself the gift of some “me time” by reading a book handpicked for you by an Elmhurst librarian? Here’s how the Winter Reading Challenge works. First, you need a library card. If you don’t have one, just stop by the Elmhurst Public Library at 125 S. Prospect Ave. with two forms of identification that include your name and address. One must be a photo I.D. You’ll be issued a card and will be ready to join the Winter Reading Challenge. To get started, go to www.elmlib.org/challenge and fill out the short questionnaire. 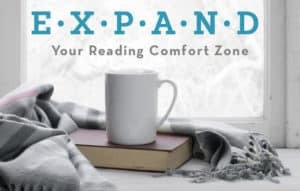 This gives librarians a good idea of the genre and format of books you usually read so they can select one that you’ll enjoy, while expanding your “reading comfort zone.” The next step is to read the book or listen to an audiobook, if that’s the format you prefer. Then go to www.elmlib.org/challengereview to tell the librarians what you thought of their selection. You can participate in the challenge as many times as you want between now and January 31, 2019. Just fill out a new questionnaire every time you finish a book and want to read another. Everyone who participates in the program and completes all the requirements will be entered to win one of three $50 gift cards for Elmhurst City Centre shops and restaurants. Remember, the Winter Reading Challenge lasts until the end of January. If you make New Year’s resolutions, resolve to read more in 2019! Just enter the challenge and relax with a good book this winter. Call 630-279-8696 or visit www.elmlib.org/challenge.